Of course it does not include everything about drawing for animation planning but it may give you a very good starting point. 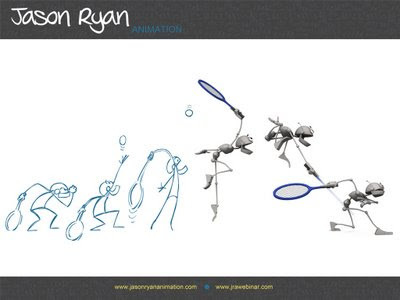 You may think it is unnecessary since you are going to be 3d animator but what I've observed during my animation learning is, the better you are at drawing (remember even a stick figure can work if it is thoughtfully drawn) and the more you put those concepts into your planning drawings, the better, original and creative your animations will be. Otherwise, it will probably lead to live action like (rotoscope) animation, cliche animation or bad animation unless you are a 3d animation pro for lots of years, which is probably the hardest route to become an animator. Yeah, good tip. I'm just about to start at AM, and I've been watching those, they've been really helpful. I think I always had a "but I can't draw" attitude, till I started watching vid's like these, trying out the different techniques and finding myself improving, albeit from crap to just below passable :). The thing I realised (and should have known from teaching myself guitar) is it's all about practice. The fundamentals are fairly simple, it's just the application of them that takes time to get right.